Creates a unique page for each Member after checkout, giving the Admin access to write customized content for each specific member. 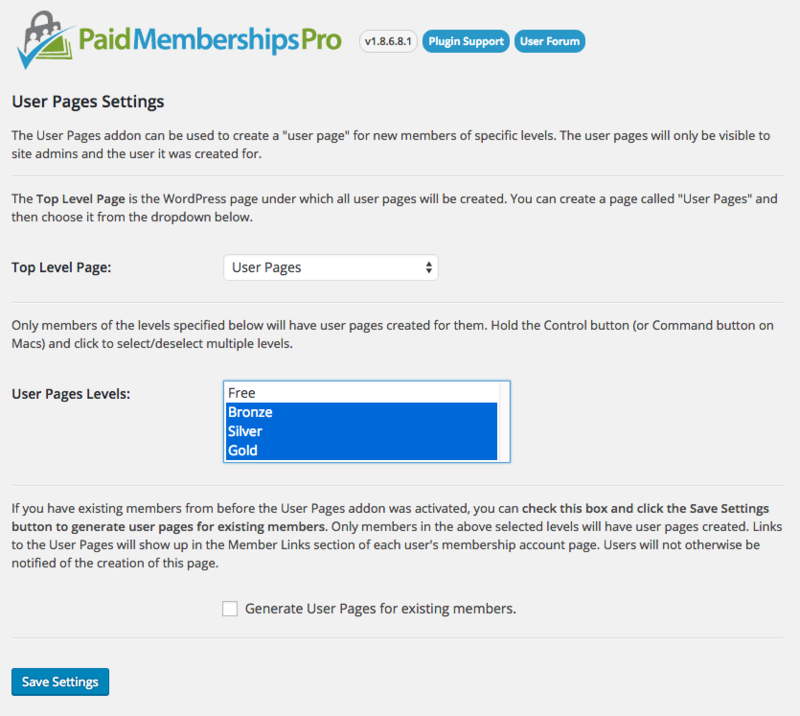 The add on creates a new admin page under Memberships > User Pages where you can define the parent page for all user pages, as well as which levels should automatically generate a user page at checkout. Only the member and the Administrator role has access to view the page. The page can be edited via the WordPress admin “Edit Page”. A link to the user’s page is added to the “Member Links” section of their Membership Account page. This plugin currently requires Paid Memberships Pro. Upload the ‘pmpro-user-pages’ directory to the ‘/wp-content/plugins/’ directory of your site. 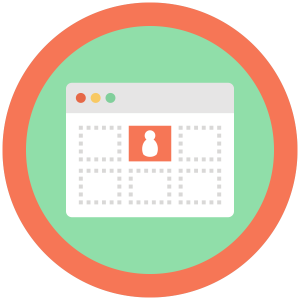 Create an empty “Member Pages” page as the top level page for all user pages. Navigate to the Memberships > User Pages admin page for settings. The Top Level Page is the WordPress page under which all user pages will be created. You can create a page called “User Pages” and then choose it from the dropdown below. Only members of the levels specified below will have user pages created for them. Hold the Control button (or Command button on Macs) and click to select/deselect multiple levels. Generate User Pages for existing members. Filters the postdata of the parent page created for the user. Filters the postdata of the user page created at membership checkout.